Obviously I went in knowing nothing. 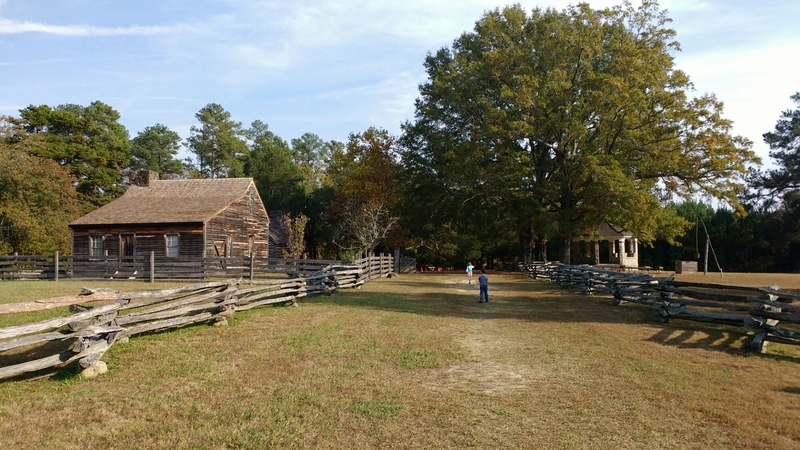 It turns out, Bennett Place is the farm between Hillsborough and Raleigh where southern general Joseph E. Johnston, middle name the indescribably ovumial Eggleston, surrendered to William T. Sherman (with an equally syllabic middle name Tecumseh) of the north. They met three times at the farm, finally succeeding on the largest surrender of southern troops in the entire civil war. So this was probably the most important historical location I’ve ever been to unwittingly. Fancy that!